ESCA Tech's D-Lead Deluxe Whole Body Wash and Shampoo is an essential product for every shooting range. 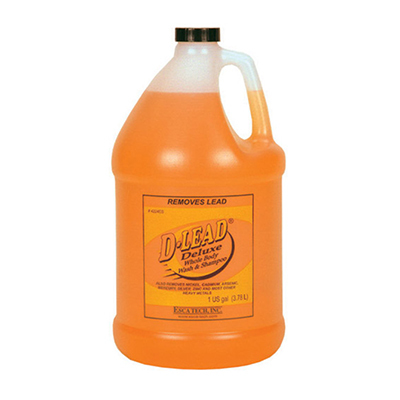 D-Lead Deluxe is a very mild skin and hair cleaner that removes heavy metal dusts including lead as well as contaminants, dirt, and embedded grease from the skin and hair. This Deluxe formula also has conditioning coconut oils for regular use in the shower and at the sink.